Decorating a party with crepe streamers is a cheap and easy way to add a bit of colour and fun to the venue. Crepe streamers come in a wide range of colours so they are versatile and suitable for baby showers, wedding, birthday parties and more celebrations! 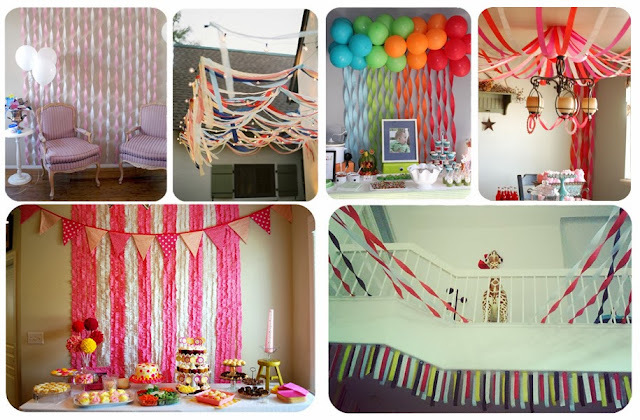 Over on Pinterest, we are always getting inspired by inventive and effective ways to decorate using party streamers for all sorts of events. But here at Flingers, we have come to realise that with a little patience and thought you can create incredibly colourful, fun and interesting crepe streamer displays to brighten up any party venue. Creating features and using streamers in inventive ways will really add the finishing touches to a celebration or event. So we've decided to share some of our favourite ways to use crepe party streamers easily for maximum effect! How to Twist Party Streamers? This display is most effective when using two complimentary colours of crepe streamers but is possible with just one shade too. For example, if decorating a baby shower consider using baby blue and white for a boy or if decorating for a wedding party, use the streamers to suit the colour scheme of the big day! Begin by cutting even lengths of crepe streamers in your chosen colours. Cut these strips slightly longer than the section of ceiling or wall you intend to hang them from. If using different colours, place one strip flat on top of its corresponding length of streamer and use a small piece of selotape to secure together at the ends. Use another small piece of selotape, blue-tac or a pin to hang one end of your streamer to the ceiling, wall or table edge you will be decorating. Once this is attached, begin slowly twisting the streamer until you get the desired effect and remember to securely attach using stick or pin at opposite end of the design. 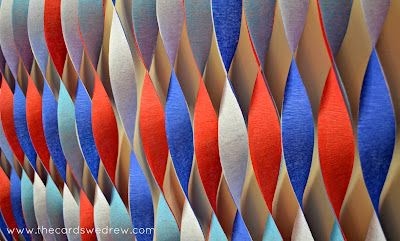 How to Create Zig Zag Folded Crepe Streamers? This approach takes a little more time but produces a very strong feature that you will be proud of when completed! 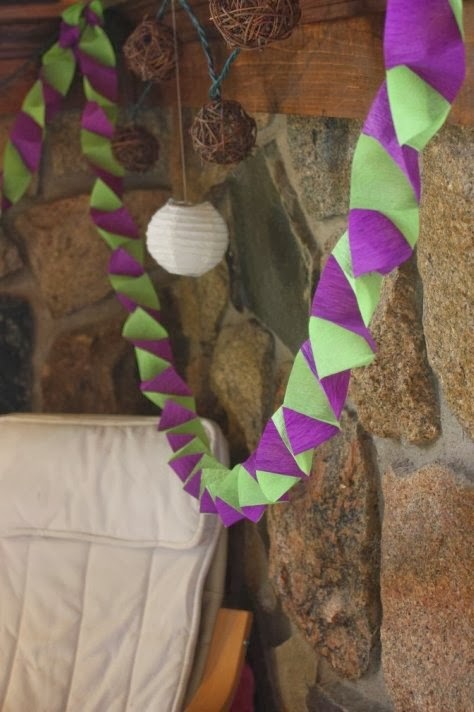 To create this geometic folded streamer you will need to use either 2 or 4 different coloured streamers. Again, begin by cutting equal lengths of the crepe streamers. If using 4 colours, pair two contrasting colours together and lay one on top of the other so you are left with two sets streamers instead. Place the ends of these two streamers at a right angle and secure with a small amount of selotape. Once they are secured, fold the bottom streamer over the top streamer and fold in place. Next, fold the earlier top streamer back over the bottom streamer. Repeat this until you have used the whole length of the streamers. At the end, secure again with selotape to prevent it from unfolding and undoing all your hard work! Then, holding both ends, release the folded streamer to open it up and reveal the geometric and colourful design. Hang from ceilings in an inverted arch or use to decorate the edges of tables. For extra ideas on how to hang party streamers and more in depth tutorials of how to create these displays, view this helpful video. 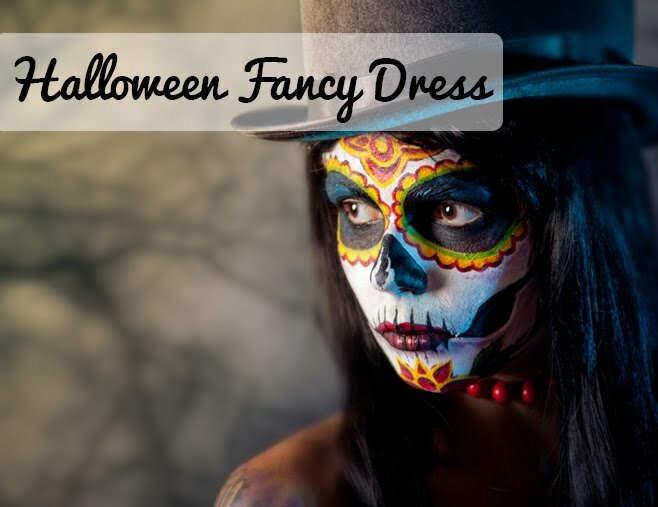 We're sure you'll agree it is a super easy way to decorate! Flingers Party Shop stocks a wide range of crepe party streamers so you will be sure to find the perfect colours for your party displays! With prices starting from just 99p for 25 metres it really is cheap and effective way to add a little colour and fun to any party. Find more crepe streamer inspiration over on Flingers Party Shop's Pinterest. Which display will you be trying out?